Farm Share Bag, Carrots, Chard, Collards, Hearty Mix, Lettuce, Radish (rose or sweet giant), Salad Mix, Turnips (Hakurei) …plus Pepper Jelly and Naturally Leavened, Hearth Baked Bread. We are keeping the Self-Serve Farm Stand alive here, with all supplies tucked in the walk-in cooler while it’s raining. 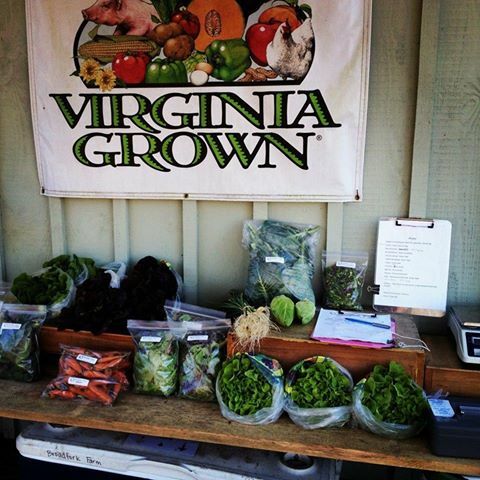 So, please stop by this week to load up on salad, roots (carrots, turnips, sweet radishes), lettuce, and more. We currently bake our amazing Bread on Wednesdays and Saturdays. Market Share CSA Members: Choose your selection through our Online Store to order for pick up on Wednesday at our farm or Good Health Herbs (in Brandermill).